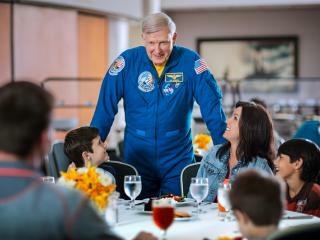 With Kennedy Space Centre tickets you can experience a day of fun and a lifetime of inspiration at the Kennedy Space Center Florida Visitor Complex. 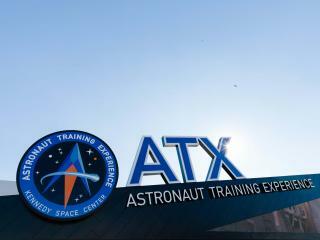 Witness history and history in the making while touring NASA’s spaceport facilities. 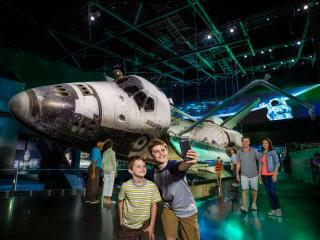 Discover the sights, sounds and sensations of launching into space on Shuttle Launch Experience. 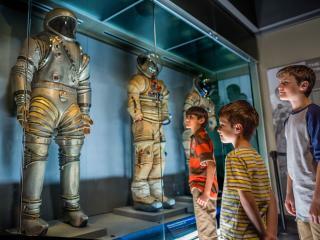 Meet a real astronaut, walk among towering rockets and enjoy IMAX® space films. Atlantis - This amazing exhibit showcases the Atlantis as if it were in orbit, elevated 30 feet off the ground and tell the story of the shuttle programme. The Space Shuttle Atlantis features state-of-the-art multimedia presentations and more than 60 interactive exhibits and high-tech simulators that will bring to life the complex systems and components behind this incredible feat of engineering. 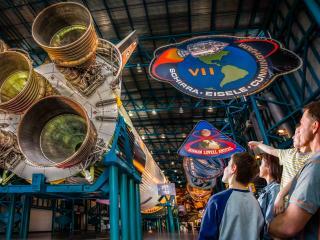 Marvel at a monstrous 111-meter Saturn V moon rocket, the most powerful rocket ever built, only here at Kennedy Space Center! 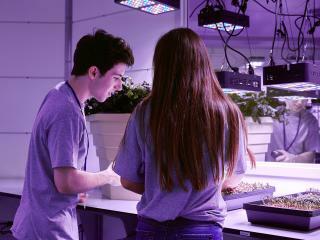 The sky's not the limit just the beginning at the Kennedy Space Centre. 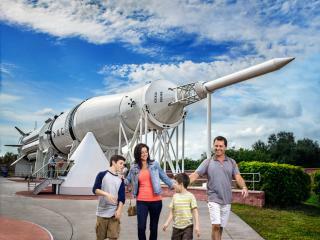 For an out-of this-world experience head off for an exhilarating and educational taste of the American space program with your Kennedy Space Center tickets - it's just one hour from Orlando.